'Growing Up' star Diego Loyzaga refutes recent reports that he's not on good terms with his dad Cesar Montano. Rumor has it that Diego Loyzaga is harboring ill feelings towards his dad Cesar Montano since the latter refused to purchase a new car just for him. But the Growing Up star refuted such reports, insisting that he’s on good terms with his father. “My dad and I are on good terms, pero pinapalabas ng ibang tao that we aren’t. They say na I’m asking for a car from him. Yes, he said that he’ll give me a car for my birthday and I am waiting for it. But I never asked for one,” said Diego who turned 16 years old last May 21. 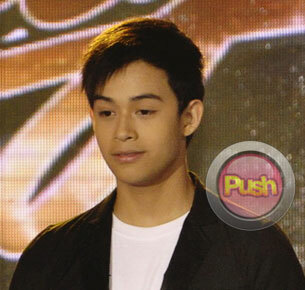 Keep logging on to www.Push.com.ph for the details about Diego Loyzaga’s role in Growing Up.